It is a record that has stood for 43 years, but it would appear Gerd Müller's single-season haul of 40 Bundesliga goals is under serious threat in 2015/16. Leading the charge with 23 goals in as many appearances so far this term, FC Bayern München striker Robert Lewandowski's astounding double-digit return only narrowly shades that of Borussia Dortmund forward Pierre-Emerick Aubameyang, who took his own tally to 22 against TSG 1899 Hoffenheim last weekend. 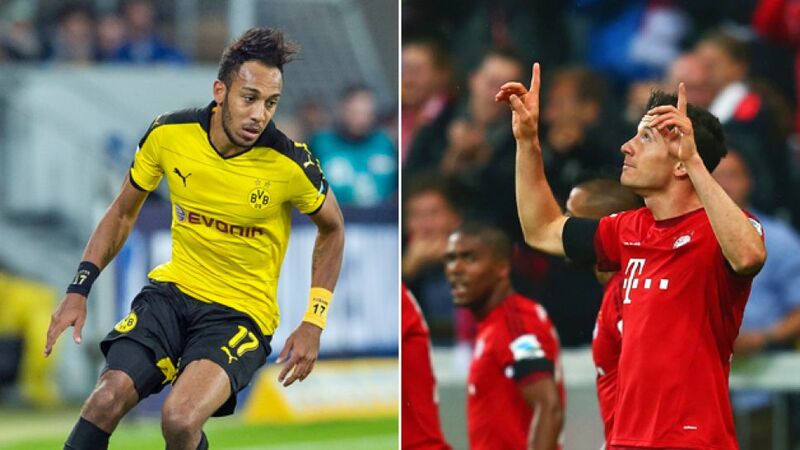 In true Texas shoot-out style, the in-form goal-getters face off on Saturday evening as second-in-the-table BVB host Bundesliga leaders Bayern in Der Klassiker. Having already surpassed the 20-goal-mark for the first time as a Dortmund player, Aubameyang now looks a near certainty to go on and break the 30-strike barrier. Mathematically speaking, were the AC Milan youth product to continue scoring at his current rate of 1.43 per game between now and May, he would finish 2015/16 on 36 goals. 'Legendowski', meanwhile, could even reach the gold-standard 40 (1.65 goals per game). Fitness and form are the obvious caveats for both men, but for now there seems to be no reason whatsoever why this season's leading marksmen cannot sustain their seemingly ceaseless march to Müller's throne in an already multiple-record-breaking Bundesliga campaign. What better stage to do so than in Der Klassiker.